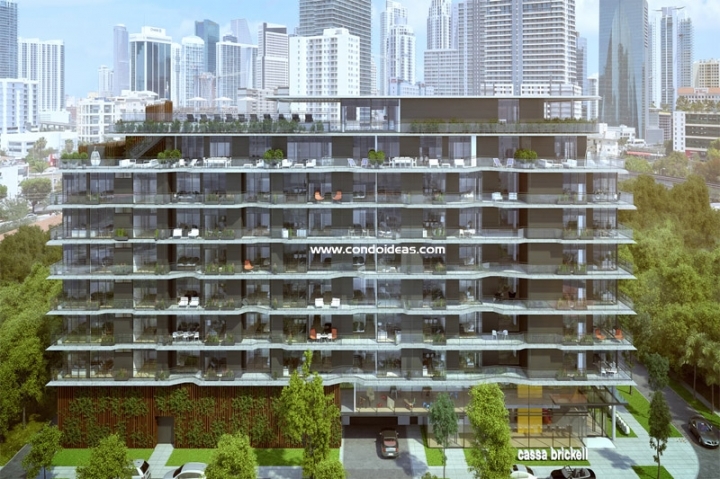 Buy at Cassa Brickell that brings to the exciting Brickell district of Miami an exceptionally smart, sophisticated and futuristic residence for sale with a full range of amenities in a boutique setting. 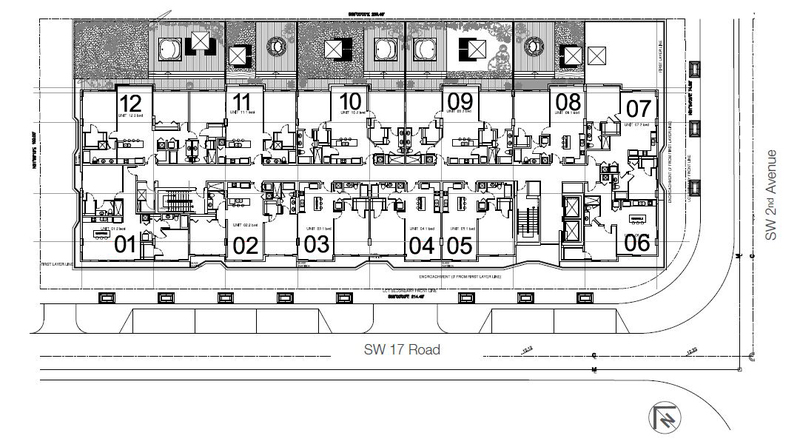 This ten-story mid-rise residential development offers a mere 81 graciously proportioned units appointed with designer details and the latest technological infrastructure. 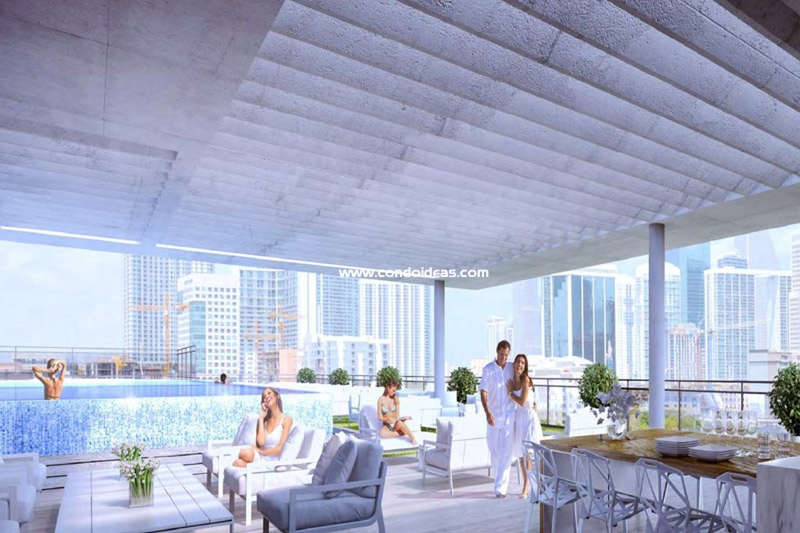 Cassa Brickell is being designed by the renowned architectural firm of Carlos Ponce de Leon. From Dubai to India to his native Uruguay, Ponce de Leon has brought the latest in technologically-informed infrastructure to creative modernist design. Here a gleaming mid-rise tower with strong horizontal elements is both substantial and airy, at once part of the Miami tradition while also part of the international scene in forward-looking residential architecture. 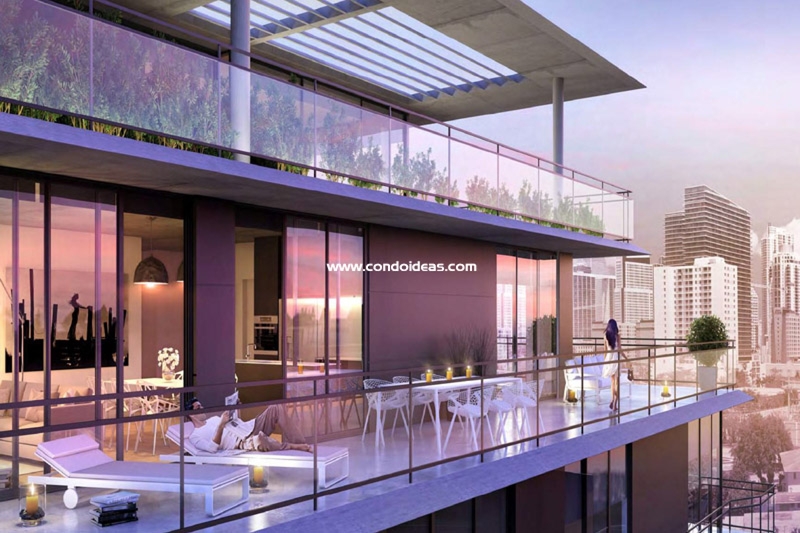 The emphasis on functionality and design excellence is seen in its lushly landscaped exterior surrounds, its two-level brightly colored lobby and its rooftop amenities as well as in its residential interiors. 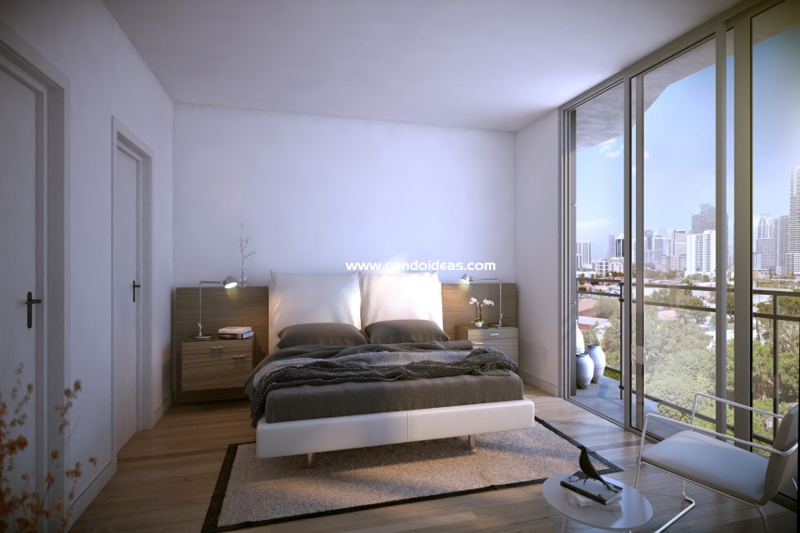 Investing in Cassa Brickell, means choosing from residences which range from 768 to 1,387 square feet in one-, two- and three-bedroom configurations. Ceiling-height sliding glass doors capture the Florida light and lead to expansive wrap-around balconies. 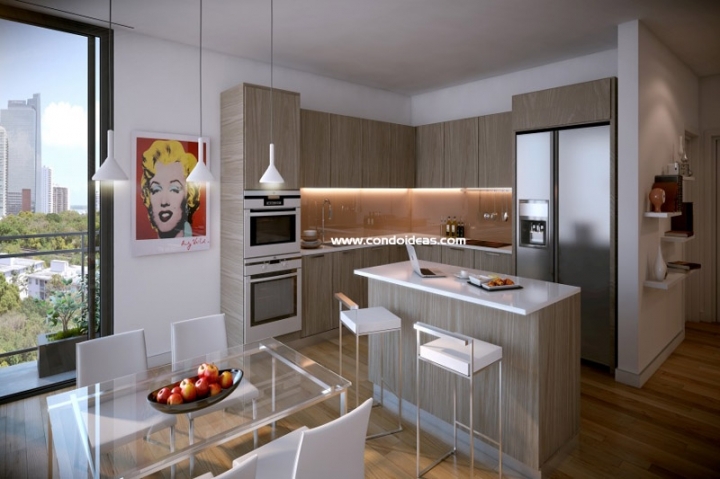 Open plan interior spaces feature sleek kitchens with streamlined Italian cabinetry accented by granite countertops and stainless steel designer appliances. Tiled baths include designer fixtures and faucets. Enjoy walk-in closets and an in-unit washer and dryer. Residences are pre-wired for the latest in telecommunications and security. a rooftop amenity deck with interior and exterior dining areas. an infinity edge pool which complements the sunset deck. Besides a secured access garage with assigned parking, valet service is available along with round-the-clock front desk assistance. The Brickell district is one of Miami’s hottest residential markets, and Cassa Brickell sits on the more sedate west side, between I-95 and Brickell Avenue and just a block from Simpson Park. Mary Brickell Village and the burgeoning Brickell City Center are close by. For design excellence in a modestly scaled residential setting with all the amenities, purchase a unit at Cassa Brickell is a wise choice for the discerning condominium owner. If you want to buy a condo in the Brickell neighborhood, you should also take a look at a new preconstruction called Brickell Flatiron.